Serge Aurier has been severely praised by his former Ivory Coast boss, who claims the defender would be a regular starter for clubs like Arsenal, Chelsea, or Manchester United. 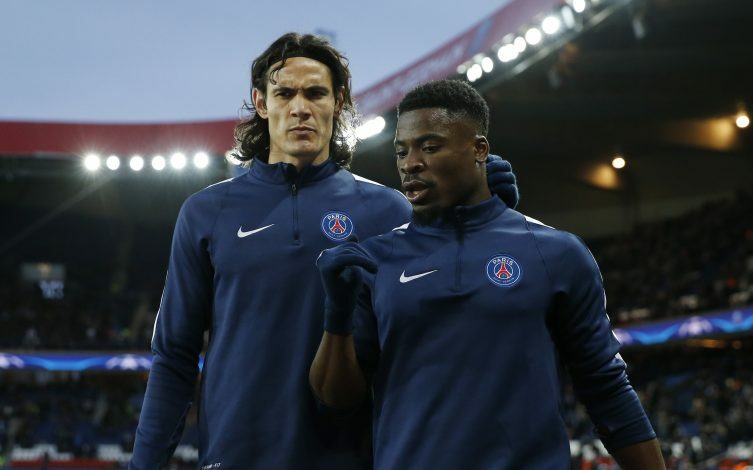 Aurier has been a key player for his club Paris Saint-Germain, and has been linked with several moves away from the club. Barcelona are also said to have registered an interest in the Ivory Coast right-back. Sabri Lamouchi, who was Aurier’s manager on the international stage for Ivory Coast, has now claimed that the player would walk into any of Europe’s elite sides, and would be a regular starter if he were to make a move to one of them. Speaking to French news outlet L’Equipe, Lamouchi said: “If you were to put him tomorrow in Arsenal’s, Chelsea’s or Manchester United’s team, he would start. Manchester United in particular, have stepped up their interest in the right-back, according to reports in The Mirror. Red Devils boss is reportedly not entirely convinced by Italian full-back Matteo Darmian, who is currently serving as back-up to Antonio Valencia. The paper also goes on to claim that United scouts were in attendance to keep an eye on Aurier during Ivory Coast’s match against France in Lens on Tuesday. The Reds are reportedly set to make a bid around the region of £18 million for the 23-year-old when the transfer window reopens in January.